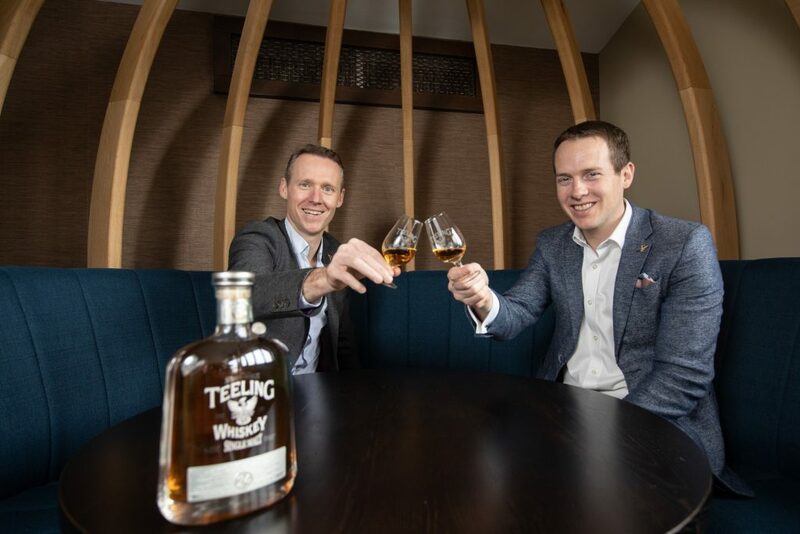 Teeling Whiskey, Ireland’s leading progressive Irish whiskey company is proud to announce that it’s 24-Year-Old Single Malt has claimed the prestigious World’s Best Single Malt award at the 2019 World Whiskies Awards. 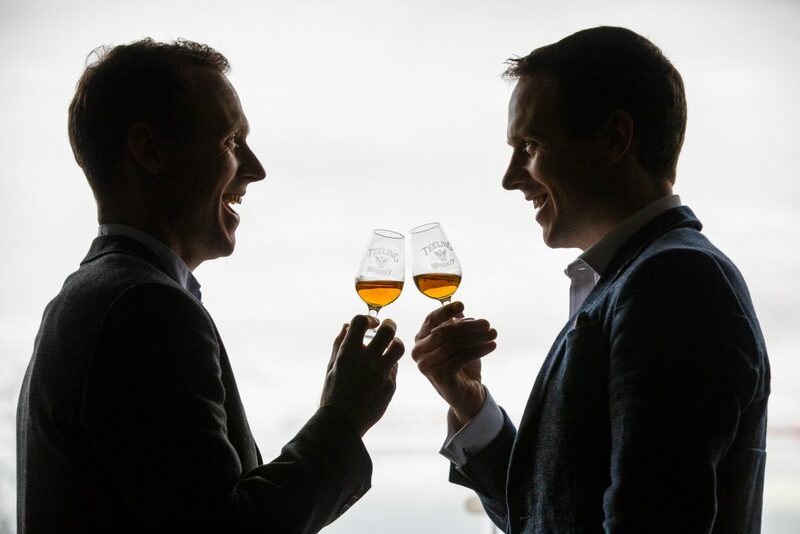 In winning the award, Teeling Whiskey has made history, as it is the first time an Irish whiskey has been named as the world’s best single malt. Teeling Whiskey received the award at the exclusive World Whiskies Awards 2019 ceremony, held in the Honourable Artillery Company in London on Thursday evening 28th March. The World Whiskies Awards is a premier celebration of the very best in all internationally recognised styles of whiskey. Presented by TheDrinksReport.com and Whisky Magazine, the World Whiskies Awards is one of the highlights of the year for the global whiskey industry selecting, rewarding and promoting the world’s best whiskeys to consumers and trade across the globe. An esteemed panel of internationally recognised whiskey experts chose Teeling Whiskey’s 24-Year-Old Single Malt as world’s best. The Teeling Whiskey 24-Year-Old Single Malt is a multi-award winning super premium bottling of Irish single malt whiskey. The whiskey made from 100% malted barley was originally matured for 21 years in ex-Bourbon barrels, before it was aged for an extra three years in ex-Sauterne wine casks. The combination of aging processes and the unique Irish climate produces an extraordinary whiskey with complex yet silky smooth taste, with flavours of fig jam, honey, apricots, and white chocolate and crisp saltiness at the end to balance the sweetness off. This very small batch bottling is available in select markets around the world including Ireland, US, Benelux, Germany, Switzerland, Australia and some Asian markets. The Teelings have been crafting Irish whiskey since 1782 when Walter Teeling had a distillery on Marrowbone Lane in The Liberties of Dublin. At this time there were over 37 different distilleries in Dublin alone, particularly centralised in the industrial engine room of the city: The Liberties; the Coombe, Newmarket and Smithfield. During the 19th century Dublin whiskey became globally recognised as the premier whiskey in the world and some of the largest distilleries of the time emerged from these smaller operations in Dublin’s Liberties. The remains of many of these can still be seen to this day however in 1976 the last Dublin distillery shut down with production moved to Midleton, Cork. 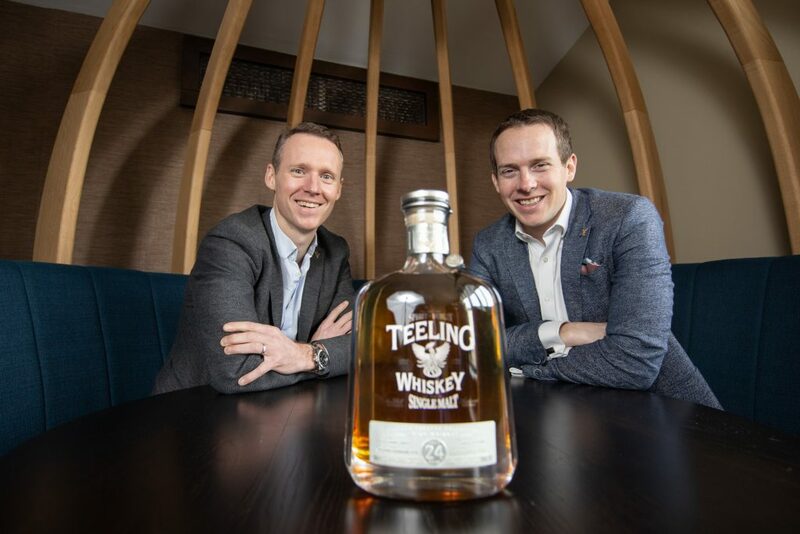 The Teeling Whiskey Company was founded in 2012 to revive the old Teeling family trademark of Irish whiskey and bring craft distilling back to the City of Dublin. The Teeling Whiskey Company has quickly become the most progressive Irish whiskey company, driving category choice and innovation through a selection of unique handcrafted small batch Irish whiskeys. The Teeling Whiskey Distillery started operation in 2015 as the first new distillery in Dublin for over 125 years and has taken in over 350,000 visitors since opening in June of that year. Teeling Whiskey is now exported to over 60 different export markets and has won over 200 international awards for its quality. The Teeling Whiskey Distillery is open from 9.30am – 5.30pm, 7 days a week and hosts guided tours of the only operational distillery in Dublin city. The tour involves seeing all the elements involved in whiskey production from barley to milling to fermentation right up to 3 custom made copper pot stills. All tours receive a measure of Teeling Whiskey with an accompanying pre-prohibition style cocktail. There are a variety of options for whiskey tasting experiences involving an upgrade to a Teeling Trinity tasting or taste the award winning range of Teeling Single Malts. Visitors can also enjoy a second drink at the ‘Bang Bang Bar’ or purchase distillery exclusive items in the gift shop. The Phoenix café within the distillery is also a great place for people to taste locally roasted Cloudpicker coffee or relax with some freshly baked pastries or sandwiches.